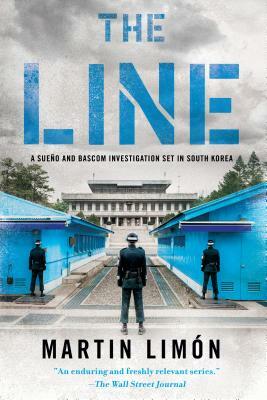 BookPeople made The Line, Martin Limón’s latest mystery with Ernie Bascome and George Sueno, two U.S. Army cops stationed in early seventies Korea, our October Pick Of The Month. It starts with the two called to a murder scene on the demarcation bridge between North and South Korea that leads into a mystery involving the South Koreans that work for the U.S. Army. While trying to find the real killer when an innocent G.I. is locked up, they also have to locate the missing wife an officer. Martin was kind enough to give us some in-depth answers to some questions about the book, the series, and the state of both Koreas. Martin Limón joins us Friday, November 2 at 7pm to talk about the book with author A.R. Ashworth and Scott Montgomery. MysteryPeople Scott: The Line has one of the best openings of the year. How did it come about? At some point it occurred to me that this would be a good place to set a murder. Of course, I knew who would be going up there to examine the crime scene, George Sueño and Ernie Bascom. Then all I had to do was decide who would be murdered, what time of day they would be going up there, etc. Once I had all that I decided to place the corpse right on the most contested spot in the world—the Military Demarcation Line—and imagined what would happen. Not difficult. There would be an armed standoff; the North Koreans on one side, the U.S. on the other. Sort of a difficult setting for detectives to exam a crime scene but, undaunted, our boys take up the challenge. MPS: You have George and Ernie work both a murder and a missing person case. How did you deal with the challenge of two mysteries? ML: I like plots and subplots, both as a reader and when I’m writing my own stories. The challenge is to get them to blend together in some way that’s (hopefully) believable and, more importantly, for their essences to somehow complement one another. In this case I had the Korean Noh family, who had suffered the grievous loss of their son, in the main plot and the American Cresthill family, experiencing the anguish of marital breakup, in the other. I hope the two stories worked well together. I was actually contemplating a third subplot; that of the Korean-American lawyer, Corrine Fitch, searching for her birth mother. But it was too much for my meager intellect to work out. Instead, it remained implied but not fleshed out. MPS: I felt this book looks at women in both Korean and Army society. What did you want to explore with the female characters? ML: Military spouses and other family members often feel isolated. Sometimes physically, as at Fort Irwin in California’s Mojave Desert where the nearest town is forty miles away. Or at 8th Army headquarters in Seoul. Even though the 8th Army Yongsan Compound sat in the heart of a city of over 10 million souls, that city was South Korea’s capital and a teeming Asian metropolis if there ever was one. Some of the Americans on base felt as if they were floating on a small raft atop a churning sea. And the military expects those family members (which they call dependents), and especially the wives, to follow a precise and lengthy list of unwritten rules. Don’t ever dare embarrass your husband, number one. Accompany him to the many and varied command social events where you must smile, smile, smile. Volunteer your time to charities specified by the spouse of the commanding general. Some women rebel, by turning inward. Others act out. I’ve seen it and it is sometimes not pretty, but always very human. With Corrine Fitch I had the ambition (probably not realized) of depicting the ambivalence of someone returning to the country of their birth but being fundamentally a stranger. What must that be like? What questions must arise? I didn’t take that part of the story as far as it needed to go but it still intrigues me. MPS: How would you describe George and Ernie’s relationship with the Army? What George loves about the army is that it gives him a sense of purpose. A job with a very specific aim: to solve crime and rescue the innocent. What Ernie loves about the army is that it encourages him to replace heroin addiction with the perfectly acceptable alternative of alcoholism. As a bonus, the pomposity of the army brass gives him a world of blowhards to rebel against. What George hates about the army is their overwhelming bureaucratic desire to cover up any and all bad news. Especially crime. What Ernie hates about the army is they make him wear a hat, which he believes is a plot to cut him off from the universe. MPS: Your latest books have been some of your best. What has experience lent to your work? ML: When I started writing, over 30 years ago, I realized immediately that this was a craft or sullen art (to quote Dylan Thomas) in which I would always keep learning—and never master. I do think my books and short stories are a little better now, mainly because of the help of editors and agents and critics and even the occasional reader. Reader complaints, of which I’ve had some which were extremely bitter, feel like a hot needle shoved into a raw nerve. However, I crave them. First, it proves that the person read and cared about my work. Second, it gives me a chance to evaluate the criticism and decide whether or not it is valid. Usually, it is. And once that needle sinks into tender flesh, I can never forget it. And the next time, when a similar case arises, I’m prepared to do better. MPS: North and South Korea have been in the news even more. What should people in the U.S. know about the culture? ML: Someone asked me if I wrote The Line because the North Korean crisis is so much in the news lately. The fact of the matter is that I conceived and wrote the first draft long before Donald Trump ever made his fire and fury or little rocket man comments. In fact, back then when I started no one imagined he’d ever become president. Since 1953 the Korean DMZ has always been in crisis. In January 1968 a North Korean commando unit unsuccessfully attacked the Blue House, the South Korean version of our White House. In the same month, the North Korean navy committed an act of war by boarding and commandeering the USS Pueblo on the high seas. They held the American crew in a brutal captivity for almost a year. In April 1969, North Korea shot down an EC-121 US Navy reconnaissance plane, immediately killing 31 sailors. And there have been plenty of violations since then. South Korean military deaths, at least back in those days, were common and many of them went unreported in the international press. The US Army averaged about one American death at North Korean hands per year. Now these friendly fellows have the bomb. I, for one, don’t believe they’ll ever give it up. No matter how many bows and handshakes our president provides. Culturally, on both sides of the border, the desire for Korean reunification is great, and it’s the official policy of both governments. From what I’ve read, Kim Jong-un’s goal in life is to reunify the peninsula under his regime. To him, mutual nuclear disarmament means that the US would withdraw our troops from South Korea and remove the South Koreans from the protection of our nuclear umbrella. Once that happened, I believe, he’d feel free to start bullying the South Koreans and use political and military pressure to gain his aims. He knows that if he did manage to reunify Korea, even under such a brutal totalitarian state as the one he now runs, his place in Korean history as a great hero would be assured. 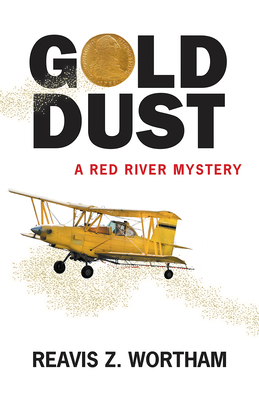 Reavis Worham’s latest in his Red River mystery series, Gold Dust, has the folks who keep the law in nineteen sixties Central Springs, Texas, and their families off in different directions with plots involving a CIA experiment, modern cattle rustles, and a fake gold rush. On October 9th Reavis will be at BookPeople with Melissa Lenhardt (Heresy) to discuss their books, but we grabbed him ahead of time for a few questions. MysteryPeople Scott: What aspects of the sixties did you want to explore in Gold Dust? Reavis Wortham: The initial idea came from the true story of a CIA experiment in 1950 called Operation Sea-Spray, in which a supposedly benign bacteria was sprayed over the city of San Francisco in a simulated biological warfare attack. A number of citizens fell ill with pneumonia-like illnesses, and at least one person died as a result. So as usual, I wondered, “What if?” What if something similar happened to the tiny northeast community of Center Springs at the end of the 1960s, that complicated decade full of war, civil unrest, and space travel? As in all my novels, I thrust normal people in abnormal situations and watch how the characters respond to an unexpected world of challenges. What happens if someone starts a gold rush in Northeast Texas while at the same time cattle rustlers murder a local farmer in a completely separate incident? How does law enforcement separate these crimes that might be connected? I’ve heard stories of gold buried and lost in Lamar County, and after the novel came out, I learned of a real gold mine near Chicota, Texas. So after wandering around a bit with this answer, the truth is I wanted to explore the ultimate question of what Constable Ned Parker would do if his family faces this personal danger from a government he trusts, while at the same time an entire world of mystery swirls around the community. I honestly didn’t know he’d load up with an old friend and head for Washington D.C. to find out who was responsible for nearly killing Top, but I guess I shouldn’t have been surprised. MPS: You’re near the end of the decade. How has it affected Center Springs? RW: Small towns are like small pools or stock tanks, with little exposed on the surface, but if you could peer underwater you’d find an entire hidden world full of beauty and danger. I think of that tiny community as a vortex, the swirling center of situations that involve the characters that have grown through the seven Red River novels. We’re all impacted by our decisions, and oftentimes, the decisions of others. As I said earlier, the 1960s were packed with significant events that come in from the outside world and involve people who only want to live their lives with as little trauma and drama as possible. When outside influences impact those farmers who live off the land, they respond with force. Center Springs wants to be left alone, but when the world intrudes, it changes the community a little at a time, drawing them into life beyond Lamar County. The community is scarred from those intrusions, but holds on to the past in many ways, because these were people who survived the Great Depression, WWII, Korea, and are enduring Vietnam. They still raise their own crops, slaughter cattle and hogs for food, and often wear the same style of clothes year after year. They’re hardened even more by the end of the decade, but still hold dear those same senses of family and community they’ve always possessed. MPS: You brought retired Texas Ranger Tom Bell back. What does he bring to the ensemble? RW: I left Tom Bell wounded and dying in Mexico at the end of The Right Side of Wrong. Since then, I haven’t been to a signing or speaking event that someone didn’t ask if he was ever coming back. Tom proved to be a favorite character who has his own following and I realized he needed to return from the dead. He has many of the same moral values as Ned Parker, but he’s darker, more experienced in the outside world, and will step over that gray line between right and wrong when necessary. He’s tough, smart as a whip, experienced in more ways than we have yet to realize, and full of surprises. Tom is that guy who watches, waits, and when necessary, responds in a way that most true Texans appreciate, dispensing justice without remorse, because it’s the right thing to do. MPS: Ned and Tom, the oldest characters, handle themselves the best. What does age give them over the younger folks? RW: They handle situations due to their experience as lawmen. The younger characters are on a learning curve, and sometimes hesitate to make dramatic decisions, whereas Ned and Tom will do what’s necessary to protect family and freedom. They’ve already made the mistakes younger people are yet to experience, and operate with that knowledge in the back of their minds. MPS: You have at least four plots running that the reader follows without any problem. How did you approach those spinning plates? RW: There are four? Dang. I hadn’t thought of it that way. Honestly, I write these novels without an outline, and simply follow the characters as they stumble through life. When a plot line diverges, I’ll follow it to see what happens. Each chapter is a surprise for us all. I guess if I had to examine what I do, I’ll simply say that by the time I finish a chapter that follows one character or plot line, I want to see what the rest are doing, so I’ll just “change the channel.” It’s satisfying to know that readers can progress without getting lost. That means I’ve done my job. MPS: Many of your characters are in law enforcement. What do you want to get across about that profession to the reader? RW: I have a simple philosophy. If you don’t break the law, you won’t find yourself in opposition with those who wear a badge. Growing up, my grandfather, Joe Armstrong, was the constable in Lamar County Precinct 3. I heard from my parents and grandparents from day one that law enforcement officers were my best friends. I know friends and family members who have been police officers, sheriff’s deputies, U.S. Marshals, and judges. They are all that stands between us and anarchy. Just look around and see how quickly things can go bad. I support the blue, and though there are always bad apples, or terrible mistakes, these men and women who wear badges have my utmost respect. The American West has returned as a hot spot for crime fiction. Revived by the likes of Craig Johnson and C.J. Box, sheriffs now square off with meth dealers instead of train robbers, instead of the cavalry, Indians fight crime and politics of the reservation, and a game warden can become an unlikely hero, fusing modern crime fiction with the classic western. 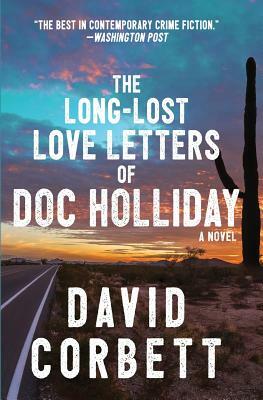 David Corbett swaggers into this territory with the fresh and inventive The Long-Lost Love Letters of Doc Holliday.Join us this evening, August 27th, at 7pm to hear Corbett speak about the book. He gives us a unique protagonist in Tuck Mercer, a former rodeo rider and western art forger who became a western artifact appraiser after a stint in prison. The man is Sam Elliot with a touch of slick salesman thrown in. His time for a big payoff occurs when he comes into possession of the correspondences between the infamous gunfighter Doc Holliday and his sweetheart Mattie. He enlists Lisa Ballermo, and arts attorney with a crush on him, to sell them. News of the letters comes to a shady judge who will do anything to get his hands on them, including the use of a local militia group. Soon there is enough gunfire to give Tombstone in the 1880s a run for its money. Corbett studies several facets of the west. Tuck and Maria have to maneuver through the neuvo-rich who both live and profit from cowboy fantasies, as they search for a buyer. They also encounter the sons of the pioneers who have lived there for generations living the values the history has instilled in them. Others have twisted those values like other terrorists have done with the Qur’an, and turned them into something xenophobic and bullying. He frames all of it by weaving in the correspondences between Doc and Mattie, creating an elegant counterpoint of the old west to the raucous new one. The Long Lost Love Letters of Doc Holliday uses it’s story and characters to paint a vivid landscape of the American west. Corbett melds action thriller, courtroom drama, and Elmore Leonard-style crime novel to explore the territory that defines our culture and how we define it with legend, lore, and fact colliding together. Thank God a literary prospector like David Corbett was the one to come along and mine it. The Long-Lost Love Letters Of Doc Holliday may be the most fun novel author David Corbett has written. New and old west converge when the supposedly destroyed romantic correspondences between gunfighter and his first cousin Mattie fall into the hands of former rodeo cowboy and art forger turned western artifact appraiser Tuck Mercer and his arts lawyer Lisa Balamaro, putting a shady judge and a militia group with their own agenda for the letters after them. David is one of the smartest authors I know, so I hope you can catch him when he discusses and signs the novel on August 27th at BookPeople. Here is some idea of what you’re in for. MysteryPeople Scott: Even for you this is a very different crime novel, how did it come about? David Corbett: I love that “even for you.” Yes, I suffer from Ross Thomas Syndrome. I am congenitally incapable of writing the same book twice. I’ve had a fascination with Doc Holliday since childhood. That said, I can’t pinpoint exactly where that fascination began. Going back and watching the available video clips from the Wyatt Earp show, however, filmed at a time when Pinocchio had no monopoly on wooden performances, I can’t say that Fowley’s portrayal captures anything particularly mesmerizing about Doc. I was just a boy, though, and it didn’t take much to stir my imagination. Nor do I recall seeing the contemporaneous portrayals by Kirk Douglas and Victor Mature, both enigmatic and compelling in their own right (if wildly inaccurate). It would be decades before I saw the more recently. depictions by Val Kilmer and Dennis Quaid, and I only recently managed to catch the (even in more wildly inaccurate) portrayals by Jason Robards and Stacy Keach. It should be clear, though, that Doc held a special place not just in my imagination but the whole culture’s. Maybe I just intuited that from what I saw and read. Regardless, by early adulthood, when I began to write, I came across two biographies of Doc that quickened my interest, especially in the fact that Doc had a lifelong correspondence with his cousin, Mattie, who would ultimately join the Sisters of Mercy. The letters were destroyed, which just seemed like a great opportunity for a fiction writer. Life intervened—specifically, my career as a private investigator, then my early crime novels—but the idea kept nagging me from the back of my mind. 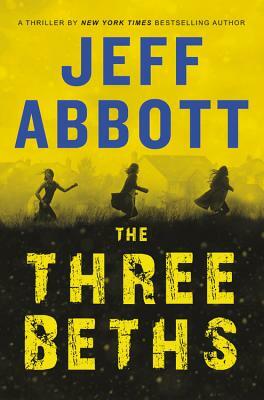 Finally, I saw a way to weave the correspondence into a modern-day crime novel by making the letters a MacGuffin—the thing of inscrutable value that all the characters seek to possess and pursue relentlessly, even violently. 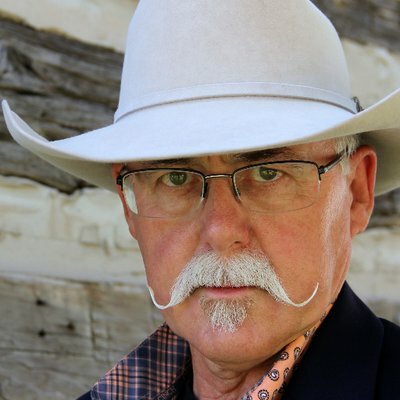 MPS: Tuck Mercer is such a stand-out character, former rodeo star, art forger, and now appraiser. He’s one of those great fictional personages that can practically go anywhere. Did you keep anything in mind when writing for him? DC: I’m glad he resonated for you. I’m not sure he would qualify as a “rodeo star,” since he was just an eighteen-year-old rodeo bum when he suffered the accident that ended his career, but it was certainly a large part of who he once considered himself to be. And he never lost the sense that life is a brutal sport that can end very badly, so you have to grab what chances come your way. It’s actually the art forger part of his life story that framed the greater part of my understanding of him. He had been no more than a sketch artist working outside rodeo arenas up until his accident, “The Rodeo Rembrandt.” But once his career as a rider—and the love of the woman he was trying to impress—were lost to him forever, he developed a simmering rage to get even: with God, with fate, with the family of the girl he’d never see again and the man she would ultimately marry. That burning need to get even, forged into a meticulous devotion to detail, which art forgery requires, and a growing confidence in the craft of deceit—that’s what I always kept in mind with Tuck. MPS: Part of the book deals with history and how we try to own it in various ways. What did you want to explore about history? DC: The saying that, “History doesn’t repeat itself, but it does rhyme,” often wrongly attributed to Mark Twain, formed a core theme for the book. Thucydides addresses this in his history of the Peloponnesian War. He did not believe in reincarnation, as some of his contemporaries did, nor that history in any way genuinely repeated. But the power dynamics that naturally occur in social and political arrangements strongly indicates that what happens once will happen again in one form or another. That is why he wrote his history of Athens’ fall. He felt sure there were lessons to be learned from how its arrogance, internal corruption, and descent into rancorous faction would prove helpful to future generations. In that same way, the story of 1880s Tombstone seemed to be ripe with parallels to the modern day. Democrats and Republicans despised each other to the point of bloodshed, with each side claiming they were the true voice of “the people,” and each had its own official media outlet (newspaper) with its own unique take on current events, neither of which could be reconciled with the other’. Sound familiar? Another echo from the past, however, this one unexpected, also came up as I researched the book. One seldom hears about the Apaches in the usual stories of the war between the Earp Brothers and Doc against the Cowboys. And yet, right around the same time as the Gunfight at the OK Corral, Geronimo broke out of the San Carlos Reservation, and the Chiricahua Apache band he led began a series of raids across the southwest as they made their way to their traditional sanctuary in the Sierra Madre Mountains in Mexico. The term “Indian Country” was first used during Vietnam to describe land held by the insurgent Viet Cong. More recently, we’ve been engaged in two more counterinsurgency campaigns, in Afghanistan and Iraq, and Taliban tactics have been openly compared to those of the Apache. And the veterans of these wars are every bit as embittered, adrift, and restless as those who escaped the Civil War, only to come west and find a place where they could at least try to outrun their demons. MPS: You recreate correspondences between Doc Holliday and his cousin. How did you go about developing their voices? This was one of the great challenges of the book. There are no extant copies of any letters Doc wrote, though he is “quoted” in an 1886 New York Sun article. One learns to cast a gimlet eye at such quotations. And though Mattie wrote a brief history of her side of the family, it reads more like a rough outline than a finished product, and it was produced years after Doc’s death, so might not at all be indicative of how she might have expressed herself when younger—especially in intimate correspondence. So I had to fashion their voices from what I could learn about them from the various credible sources concerning their lives. Fortunately, in the last two decades, several books have appeared that survive the test of reasonable skepticism. Karen Holliday Tanner’s Doc Holliday: A Family Portrait draws from family records and lore, and provides a very personal if not always reliably accurate portrait of Doc; Gary L. Roberts’ Doc Holliday: The Life and Legend is an excellent source by a bona fide historian; and Paula Mitchell Marks’ And Die in the West addresses the Gunfight at the OK Corral in a way that focuses a much more jaundiced eye on the hagiography surrounding Doc and the Earps. I also researched romantic correspondence in the mid-nineteenth century, to get a better idea of the language and, even more importantly, the prevailing themes that appeared in letters between lovers. Finally, I honed in on what I considered the core of who these two people were. This is always tricky, and I don’t pretend to have somehow magically or mystically divined their souls. That said, Mattie’s faith and specifically her Catholicism were clearly of great importance to her. This comes across clearly in the brief family history she wrote, which emphasizes how her mother’s faith gave her strength during the horrors of Sherman’s March. It also appears that it was her devotion to Catholicism that prevented her from accepting Doc’s proposal of marriage; Catholics are forbidden from marrying first cousins. His intelligence, and love of learning. Specifically, I imagined him having a particular fondness for Thucydides, and Doc would readily have identified the fall of Athens with the collapse of the Confederacy—who better to represent the mechanical brutality of Sparta than the American North? His devotion to his mother, and her to him. She died of tuberculosis, the same disease that would fell Doc, and he no doubt saw this as a kind of stigmata, an emblem of his suffering through his love of her. Perhaps more importantly, having sat at his mother’s bedside as she grew increasingly and painfully ill, he knew a similar fate awaited him. He would die young, which created the fatalistic absence of fear for which he was renowned. His hatred of his father, who married a mere three months after Doc’s mother died—and the bride was a mere seven years older than Doc. His likely racism. He hated the post-war occupation with its scalawags and carpetbaggers, and considered his father in league with them. He is known to have killed a Buffalo Soldier in or around Fort Griffin in Texas, and at least one of the reasons he fled the South involves a shooting incident concerning a number of black youths at a watering hole on or near his uncle’s property along the Florida-Georgia border. His fascination, even obsession with gambling, and his skill with a gun. His fondness for dentistry, which he admitted to a number of people, suggesting again not merely his intelligence but manual dexterity, which no doubt served him well at the card table. His hair-trigger temper, exacerbated by his excessive consumption of alcohol, which he used to mitigate the pain and coughing his TB caused. His manners; he never forgot his breeding, which expected him to be a gentleman. His turn from Southern Democrat to Western Republican, embracing the vigorous pursuit of opportunity and progress that the industrialists, speculators, and mining interests brought to the frontier. Putting all that together in one man’s heart, and having him speak a unique American vernacular that somehow captured both his Southern roots and Western adventurism, proved a daunting task, but I’ve been gratified by how many readers have found it compelling, even convincing. MPS: What was your take on Holliday after writing this book? He knew himself a villain—but he deem’d? The rest no better than the thing he seem’d;? And scorn’d the best as hypocrites. It would have been fun to talk philosophy with him. I don’t think I would have wanted to play cards against him, nor would I ever have wanted to find myself on his bad side. MPS: The story examines the relationship between the old west and the modern one. Did you find more differences than similarities? DC: The difference lies entirely in the settlement of the region. The Old West was wild, unformed, and largely lawless. Doc himself, in the 1886 New York Sun article I mentioned, identified himself as a member of a certain class of men who brought the law, commerce, and progress to a harsh, anarchic, and unwelcoming badlands. That may be a bit self-serving, but the truth remains that the West got gentrified, and the hunting grounds of the Native Americans are gone forever. That said, a certain toughness, self-sufficiency, and independence still characterizes much of the West, and that has come to define much of what we mean by being an American. Unfortunately, all too often it curdles into a kind of self-congratulatory braggadocio, cruelty, and meanness of spirit. One sees that embodied in the battle between Doc and the Earps on the one hand and the Cowboy rustlers on the other. Both sides have their apologists and mythmakers, both claim the other side is lying. The Gunfight at the OK Corral is a battle for America’s soul, and its echoes can still be heard if you listen. 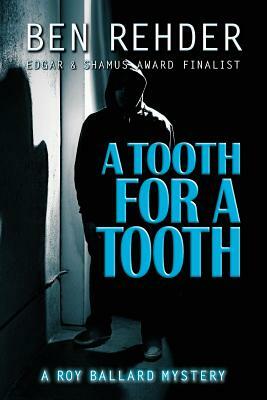 A Tooth For A Tooth is Ben Rehder’s latest novel to feature Roy Ballard, a legal videographer operating in Austin with his partner and now fiancé Mia. Roy takes a job to prove fraud in what may be an insurance scam, but finds darker crimes when people start shooting at him. It’s hard to say more about the book without giving away surprises, but both Ben and I tried our best in this interview. Take a look and join us Sunday at 2pm when Ben is here with Reavis Z. Wortham and Billy Kring to talk about their books. MysteryPeople Scott: I felt A Tooth For a Tooth was one of your more complex mysteries, yet it made crystal clear sense in the unraveling. Did you have it all plotted out before you started? Ben Rehder: I’ve always started my novels with just an idea and a few characters, but not an outline, so I’m largely making it up as I go along. The good news is, that leads to a lot of twists and turns that I didn’t see coming. Glad it made sense in the end! MPS: I notice that Roy seems more likely to have a gun ready and possibly less trusting. Have past jobs made him more jaded or just more aware? BR: He’s always had a gun accessible, but it’s probably on his mind more in recent books. I think he has more to lose, and more to protect, now that he’s in a relationship with Mia. He doesn’t want some goon to come along and screw that up! Both of them have had to deal with violent people on several occasions, and now more than ever, Roy wants to be prepared for whatever might come along. MPS: While he deals with her over the phone, Mia isn’t physically there with Roy at the beginning of the book. Was there a particular reason for that decision? BR: I wanted Roy to be on his own for a period as he dealt with some personal issues and grappled with some poor decisions he’d made in the past. Some of these involved Mia, and some would certainly impact their relationship. MPS: Did it present any challenge? BR: Not particularly, no, and it gave Roy time to put more thought into one particular challenge than he otherwise might have. Hate to be cryptic, but I don’t want to reveal any spoilers. MPS: While you deliver a first rate detective plot, you take time to deal with Roy and Mia’s relationship, and have chapters that deal with the repercussions of the plot, like a wonderful exchange with a neighbor complaining about the shootout. Do you feel these moments are as essential to the story as the plot? BR: Absolutely. If you build a character well, readers are interested in all aspects of their lives. You also want your reader to understand that your protagonist is human and has moments of self-doubt, like everyone else. Roy struggles with that sort of thing more than he would ever let on. For instance, he doesn’t want to be the guy endangering his neighbors, but at the same time, he’s irritated that the neighbor is making him think about such things. MPS: Even in your more satirical books, when someone is shot, the act is rarely dismissed. Do you feel an author has a certain responsibility when portraying violence? BR: To a degree, yes, but less so when the violence is obviously used for farcical or comic effect. It also depends on the context. If I wrote a series in which violence was frequently presented as the solution to most of my protagonist’s problems, I’d feel uncomfortable with that. If one of my characters is tempted to commit violence in a serious scene, I want him or her to struggle with it, before, during, and after. That’s how most people with a conscience would handle it in real life. If there was any justice in the publishing world Billy Kring’s Hunter Kincaid series would be as well known as Lee Child’s Jack Reacher. Full of action, great plotting, and always topical, the Texas Border Patrol agent and her cohorts take on the baddest of the bad from two separate counties. 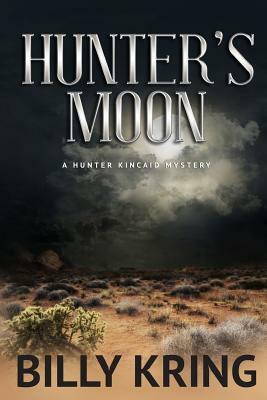 In Hunter’s Moon, she is recruited by a CIA agent, Art Gonzales, to track down those who killed his partner, she finds herself up against a cartel who use drones in various illegal ways. 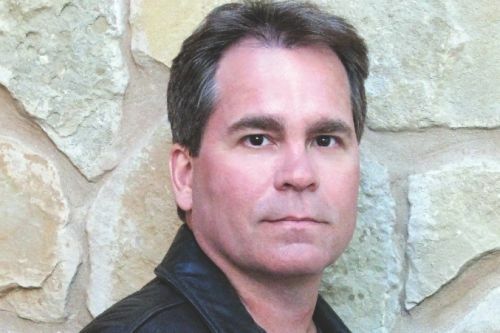 Billy will be joining Reavis Wortham and Ben Redher at BookPeople on July 8th at 2pm to talk about the book as well as Texas crime writing, but is flying solo for this interview we did with him. MysteryPeople Scott: How did drones become a big player in Hunter’s latest case? Billy Kring: I’ve been watching the technological advances in drones, both in use and in their capability, for the last five or so years, and have read little blurbs here and there on drones being used on the border to smuggle drugs into the country. Some reports from Mexico were more helpful than those from the U.S. side, talking about how their use is expanding, and in a lot of areas, including some that talked about weapons brought into Mexico by drones. And, in the last year, about things like the Sarin gas I used in my story. The possibilities are almost endless. And of course, then I thought about how Hunter would handle them, which started the entire story spinning in my head. MPS: What was the most surprising thing you learned in the research? BK: The most surprising thing was how prevalent and specialized homemade drones were becoming. Some are capable of moving loads of several hundred pounds, and flying individuals around on them, like something out of Star Wars. It’s amazing that all of them were made in someone’s garage or workshop. Arming them with weapons was inevitable, but even that surprised me because of their use as potential sniper or assassination weapons with locally purchased firearms. Commercially manufactured drones like the Predator cost over a million dollars, but handmade drones can run less than a thousand dollars, often much less. And the rate of technological advancement in drones is incredible, both in the homemade area and in the scientific/military arena. MPS: Did using them present any challenge to you as writer, particularly with many of the action scenes? BK: Yes, because I’m not a flyer. I learned how to fly them while researching the story, but it still took some thinking about the scenes, because I wrote them from several viewpoints at the same time: the victim, the drone itself, and the flyer. Sure was fun to write, though! MPS: One thing the Hunter series is known for are the villains. What did you want to explore with Pascual? MPS: Hunter is off the books in this mission, did that make the story tougher or easier to right? BK: It was tougher. When writing about Hunter working in her official capacity, the rules are set out by the agency. When she goes under the radar, she’s operating in an environment with no rules, none. She’s surviving by her wits while still trying to accomplish a mission that’s not sanctioned, well, at least on the surface. Lots of things to think about when there are no rules. MPS: Art Gonzales, the CIA agent Hunter has to work with, is a great character because he seems like he could go either way as ally or enemy to Hunter. What do you have to keep in mind when writing that kind of character? BK: Art is just that way: he’s placed with Hunter to assist her to complete the assignment, or to push her out of the picture if she’s obstructing things. He’s one of the elite members of the CIA’s Special Operations Group, and can, if need be, perform sanctions. But, he winds up liking Hunter and they hit it off very well. As for what develops between them, that comes later in the story!